The Mona Lisa, also denominated as La Joconde in French or La Gioconda in Italian. Who was Mona Lisa in real life? Leonardo da Vinci's real-life model who posed for his iconic artwork was Madam Lisa Giocondo. She was the wife of Francesco del Giocondo, a wealthy Florentine merchant. What is Mona Lisa's real name? 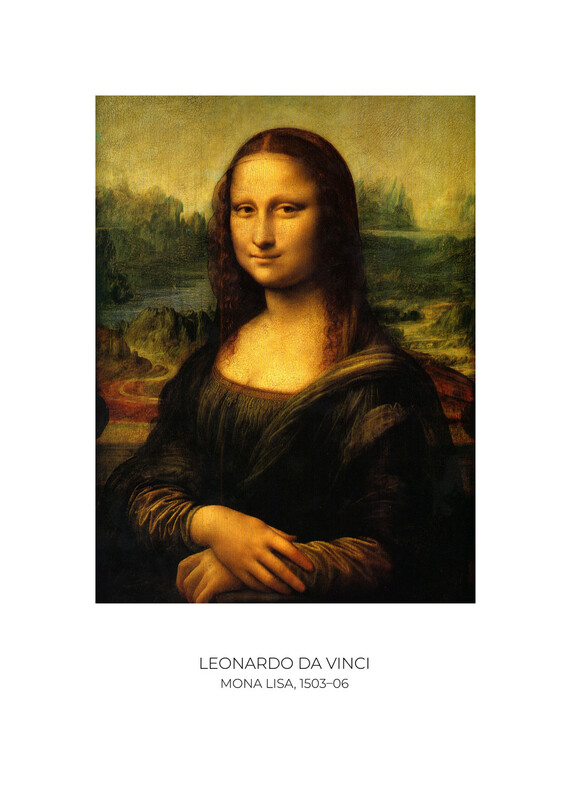 Based on Leonardo da Vinci biography written by Giorgio Vasari in the mid-sixteenth century, many historians consider the painting as a portrait of Lisa Gherardini known as Madam Lisa Giocondo, wife of a wealthy Florentine. Many reasons influenced this masterpiece place in the art world. However, the main reason is the techniques that were used by Leonardo da Vinci in order to paint it. Leonardo applied an almost forgotten painting technique which is called sfumato in Italian. It is a painting technique for softening the transition between colors, mimicking an area beyond what the human eye is focusing on, or the out-of-focus plane. Another reason why the Mona Lisa so famous, on 21 August 1911, Vincenzo Peruggia an Italian thief stole the Mona Lisa from the Louvre museum, Paris. This event added more glamour to the masterpiece as every media was following the investigation. Initially, the Mona Lisa kept at the royal palace in the heart of Paris. At the end of the 18th century, the Louvre became a public museum, having about 35.000 objects on display, one of their artifact is the most famous artwork of the world the Mona Lisa. How much is the real Mona Lisa worth? In all painting history the Mona Lisa is having the highest insurance value according to Guinness World Records. On December 14, 1962 the Mona Lisa was evaluated at US$100 million. Taking inflation into account, it would be around US$810 million in 2017.